Nothing is out of bounds when the Dar es Salaam derby, between Simba and Young Africans, comes to town. The two teams are not just the country’s biggest clubs, they see themselves as more than that; they see themselves as brands. On matchday commercial capital Dar es Salaam divides into either green or red and the rest of the country watches on, with the fanatical making their way to Dar from the interior areas. Given that they predate even Tanzania’s independence, they consider themselves the two very biggest brands in the country. With little separating them, each side has their metrics on which is the bigger brand. Yanga’s 27 titles to Simba’s 17, plus their recent dominance of 7 titles in 10 years, is their main argument for being the biggest brand. Simba counter that fact by using statistics from the Tanzanian Football Federation, which show that Simba attract more fans to their games, home and away, as well as having a bigger number of social media followers. The comparisons are relentless and sometimes trivial. In the lead up to August’s Super Cup derby Yanga’s spokesman Salum Mkemi would boast about the luxurious hotel Yanga were staying in and goad Simba’s over their supposedly subpar accommodation. Simba, through their spokesman Haji Manara, would hit back by saying they were staying in a hotel in Zanzibar that was so luxurious that it was “almost sinful”. Simba would emerge victorious after a penalty shootout win. The club’s hierarchy see Zanzibar as a good omen and have chosen to go to there again for their preparation this time around, citing the historical link that the club has to the tiny island makes it their second home. Mkemi, naturally, has asked for receipts of their payment to the hotel, stating Tanzanian tycoon Said Bakhresa is hosting them in the hotel for free, while Manara has returned the blow to ask Mkemi why Yanga are so secretive of their whereabouts. On the pitch, attention has focused on the players that have crossed the divide in the summer Haruna Niyonzima and Ibrahim Ajibu. Niyzonzima was at Yanga for 6 years, winning countless titles in the process, before he made the switch to Simba this summer which, of course, saw the burning of his shirts. His addition in midfield has given Simba the experience, poise and drive that sees them going into games of this magnitude with a new breed of confidence. In the Rwandan they have one of the league’s standout players since the turn of the decade. 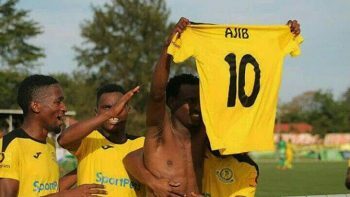 The slick forward Ibrahim Ajib, meanwhile, was seen off with more of a shrug of the shoulders rather than burning shirts, but he has matured into a player of growing repute and is currently the talk of the country. Nicknamed Mguu Wa Dhahabu (Golden Foot), the 20-year-old has sparkled in the green shirt of the defending champions. Five goals in seven games so far this season tell part of his story, but it misses out on the moments of skill and the creativity he conjures as a second striker. And what the numbers also don’t portray is the aplomb those goals were taken with. And, though he has flourished at their rivals, Manara was keen to stress Ajibu’s departure was not a mistake because of the signing of the red-hot Okwi, who comes with more international pedigree whereas Ajib can’t force way into the Tanzania national team starting XI. “It’s like if Liverpool let Mohamed Salah go and then brought in Lionel Messi,” Manara added. Manara, in typically wind-up fashion, has insisted that Simba will aim to “kill the game within the opening 15-20 minutes” before they play the possession football that club is known for. To do that, they will need to steamroll a Yanga defence that has conceded just 3 goals so far this season. Yanga are sweating over the fitness of Zimbabwean duo Donald Ngoma and Thabani Kamusoko as well as hitman Amissi Tambwe, the country’s leading all-time foreign goalscorer. That they have coped so well without the key trio speaks volumes of the depth in their squad. Summer recruit Papa Kabamba Tshishimbi from Swaziland side Mbabane Swallows shone in the last derby, with the elegance and toughness on the ball that quickly endeared him to the Yanga faithful, and they will be looking to him to fill the big void left by the injured Kamusoko. After a summer spending spree intended to not just overtake Yanga, but represent Tanzania with dignity on the continental stage (something they claim Yanga have failed to do), the Simba hierarchy will be this game closely to see the signs that power has shifted. Dar es Salaam, and the whole country too, will be watching too.